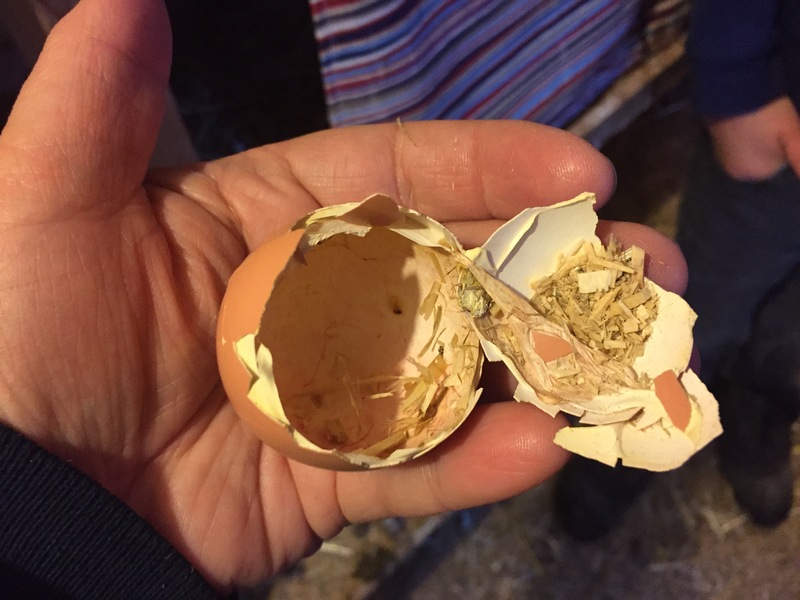 Okay, so technically, neither of the eggs we put under Abby were her own eggs, but she’s the one who has been sitting on them very diligently since November 7th. 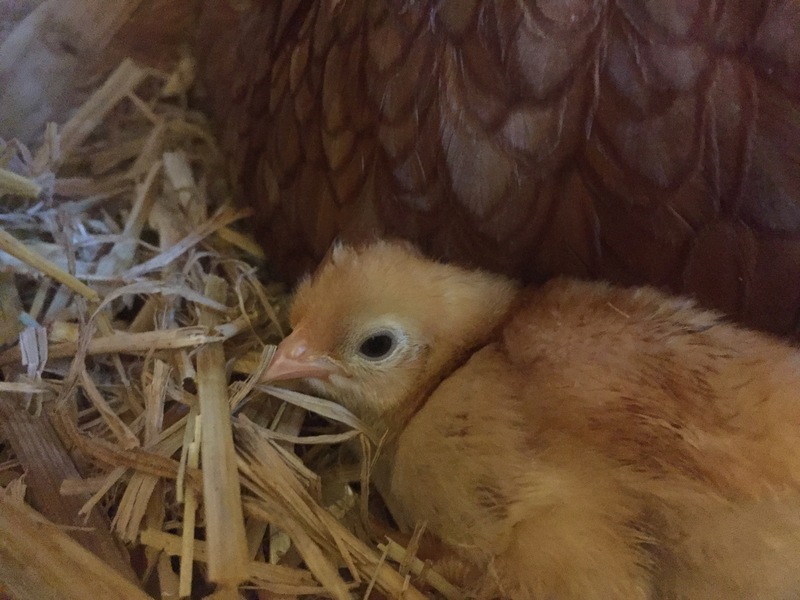 This morning, I came down to the coop to discover that the peeping egg was no longer an egg. 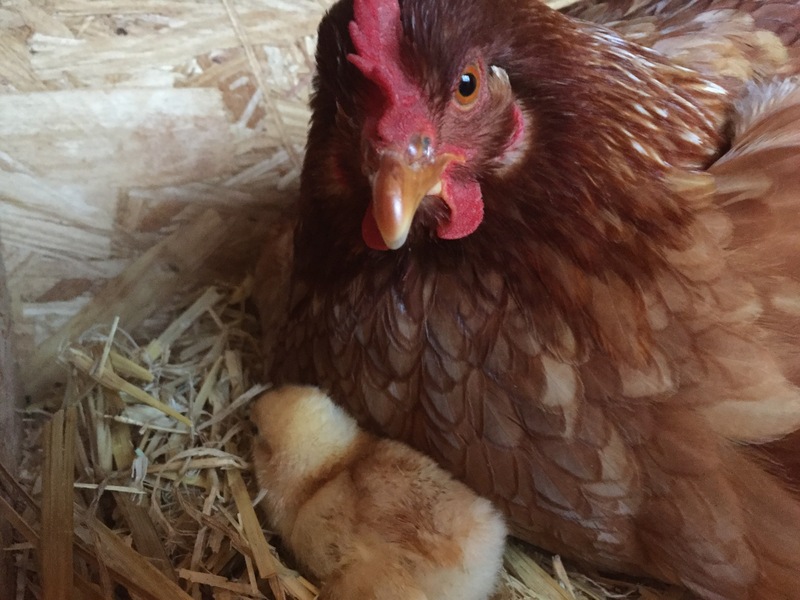 The bio-mom who hatched the egg is a Rhode Island Red and the daddy is, of course, Dots. Our gold sexlink rooster.